Are our devices deadly household hazards? Laptops, tablets, mobile phones – the devices we love and rely on increasingly to run our lives through are proving to be ticking time bombs as the causes of house fires. Why? Because these items left on charge heat up, triggering the batteries to explode and quietly start smouldering. This outcome is even more likely if a cheap, shonky charger is used instead of one that complies fully with national safety regulations. The key danger here is that the electronic devices are often located in bedrooms – on top of mattresses and in one recent fire case, under the pillow of a sleeping child! 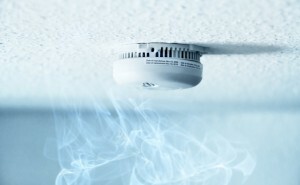 A smouldering fire caused by this modern-day phenomenon is virtually the software update to the major house fire risk once posed by smoking in bed. Think about the likely scenario. The kids don’t want Mum and Dad to see what they are doing on the internet so they go to their bedrooms, close the doors for privacy and leave their devices on all night. The amount of combustible fuel in a bedroom is considerable, particularly if the computer, phone, tablet is placed on a mattress. Closed doors mean carbon monoxide build up, a disaster waiting to happen. A fire that starts as a smoulder is different from, say, a kitchen appliance that bursts into flames quite visibly. Smouldering fires often go unnoticed, until occupants are either roused from their sleep by a smoke alarm or the fire escalates to “flashover point” where the contents of the whole room and/or house suddenly and simultaneously erupt into flames from floor to ceiling. Needless to say, every second is critical to survival, particularly when flashover is reached. After all when you go to sleep, your sense of smell goes to sleep also. If there is a fire, toxic fumes may overcome you before you wake up. 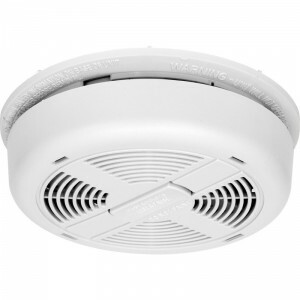 The best insurance you can put into place for your personal safety in the event of a house fire is to have properly working and maintained smoke alarms installed. Reports indicate that the risk of death in a house fire is reduced by more than half if a properly maintained smoke alarm is installed. Generally more effective at detecting flaming fires which consume combustibles quickly and spread rapidly. Sources of these fires include paper burning in a waste-basket, or grease fires on a stove. Generally more sensitive than ionisation technology at detecting large particles of smoke, which tend to be produced in greater amounts by slow smouldering fires, which may smoulder for hours before bursting into flames. Sources of these fires may include cigarettes or electronic devices burning in bedding or furniture. 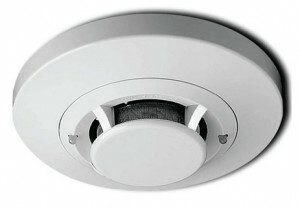 The New Zealand Fire Service recommends the installation of photoelectric alarms, hard wired and interconnected, in all residential accommodation. These are usually located in paths of travel (hallways) between sleeping areas and exits to the open air or to common corridors. 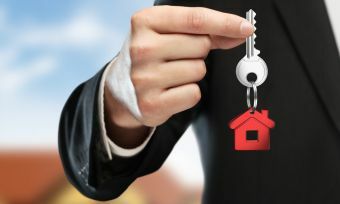 However, they also recommend a smoke alarm – perhaps battery-powered optical smoke alarm – should be fitted inside all bedrooms if the occupants sleep with the door closed. This harks back to the point spoken about above – kids behind closed doors with computers/phones on all night! We’ve all been desensitized, or tricked even, into believing computing devices are safe – they are not and can be unpredictable, even new ones. Parents should educate their kids about these dangers in much the same way they drum into them the dangers of playing with matches or candles or putting clothes on top of three-bar heaters. It’s common sense to make a hard and fast rule that electrical items such as laptops, tablets, hair dryers and straighteners etc should not be left on bedding when switched on – and all applicances/devices should be switched off when not in use. Steering clear of “cheap” chargers imported from countries that don’t have the same stringent standards as ours is also a no-brainer. Educating yourselves and your kids about this growing house fire hazard may well prove the best thing you can ever do.